However, the gender-inclusive language in these versions extends only to women and men, not to the Divine. Nearly every Bible version presently available persists in using exclusively masculine or neuter language for the Divine. Only two Bible versions, The New Testament and Psalms: An Inclusive Version (Oxford University Press,1995) and The Inclusive Bible (Priests for Equality, 2007) employ specific strategies to avoid using masculine language in reference to the Supreme Being. But until now, no version of the New Testament has dared to consistently use feminine language instead. It should be understood from the outset that Greek pronouns used to describe the Deity in the New Testament do not imply anything about biological identification. The Creator and Sustainer of all things is not biologically masculine or feminine; in fact, women as well as men are created in the divine image (Gen. 1:27). The pronouns used for the Creator in the New Testament are masculine only because the gender of pronouns is required to match the gender of nouns, and since theos is a masculine word, the pronouns referring back to theos are required to be masculine. But this grammatical rule does not imply that the Creator is literally masculine, any more than it implies that the Holy Spirit is neuter because the word pneuma is neuter instead of masculine or feminine. As a result, divine pronouns in the New Testament can just as accurately be rendered “he,” “she,” or “it.” Add to that the fact that the Bible describes the Creator in feminine as well as masculine terms (cf. Isa. 66:13), and the idea of a “divine feminine” translation becomes all the more reasonable – and even necessary— given the heavily patriarchal bias of historic Christian theological language. Although these strategies may be considered gender-inclusive, they could just as easily be considered gender-exclusive. Rather than include feminine-gendered language alongside masculine-gendered language, for the most part these translations do away with gender altogether. Is that really inclusive? There are a few notable exceptions. For example, The Inclusive Bible does use feminine pronouns for the Holy Spirit. And The New Testament and Psalms: An Inclusive Version, which usually replaces “Father” with simply “God,” often uses the term “Father-Mother” in the Gospel of John because the term “Father” is so ubiquitous in that Gospel. However, these are only minor exceptions. By contrast, the Divine Feminine Version balances both feminine and masculine language; “Godde” gives “her one and only Son,” Jesus. Even the term “Godde” is designed to move away from masculine conceptions of the divine, sort of a compromise between “God” and “Goddess.” Both Godde and the Holy Spirit are consistently referred to with feminine pronouns, not because other gendered pronouns are wrong but simply to provide a counterpoint to the hundreds of Bible versions that use only masculine pronouns. One of the most unifying images of the Divine Feminine throughout the Bible is that of Divine Wisdom, who is consistently described as a woman in texts such as Proverbs chapter 8. Wisdom represents Godde in these texts, and the Holy Spirit is also identified with Wisdom in texts like the Wisdom of Solomon chapter 7. Finally, Jesus is portrayed as the incarnation of Divine Wisdom in the New Testament in texts like 1 Corinthians 1:24,30, inspiring us to use a feminine pronoun for the (arguably) preincarnate Christ in Philippians 2:7. They crucified him, but Sophia-God receives that death and transforms it to life. When the story of Jesus is told in this way, a certain appropriateness accrues to the historical fact that he was a male human being. If in a patriarchal culture a woman had preached compassionate love and enacted a style of authority that serves, she would most certainly have been greeted with a colossal shrug. Is this not what women are supposed to do by nature? But from a social position of male privilege Jesus preached and acted this way, and herein lies the summons (She Who Is [New York, Crossroad], 1992, p. 160). 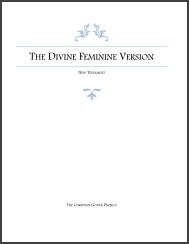 The editorial team of The Divine Feminine Version did not simply sort through the New Testament and swap out pronouns, however. Each verse was carefully and painstakingly reviewed, following the United Bible Society’s Fourth Corrected Edition of the Greek New Testament. We wrestled constantly over the best strategies to deal with patriarchalism, anti-semitism, and a variety of other problems that we encountered along the way. The Rev. Shawna R.B. Atteberry and I spent five and-a-half long years working through these texts, but fortunately we were not alone; we were joined by three other editors who served for at least two to three years each throughout the course of the project. These other editors included Dr. Laura M. Grimes, Julie Sweeney, and Timothy Victor. Together we spent many long hours in Skype conferences, phone conversations, e-mail and Facebook exchanges, and annual weekend retreats where we deliberated day and night. Our deliberations were at times excruciating and taxing, and at times we struggled hard to achieve consensus, but we all were driven by conviction and inspiration to give birth to a badly needed corrective in the contemporary church. Our work was preceded by other divine feminine texts, like Marchiene Vroon Rienstra’s Swallow’s Nest, a divine feminine version of Psalms, and Dr. Grimes’s own Sophia’s Psalter, a more literal divine feminine version of Psalms. 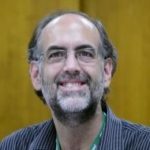 The Inclusive Bible and The New Testament and Psalms: An Inclusive Version provided inspiration and suggestions for new ways forward in the New Testament, but to a large extent we had to find our own way as we struggled through the entire text. The discerning reader will doubtless notice a wide variety of strategies we employed to deal with sexism, racism, ableism, homophobia, and other issues, though at times the texts were so inherently problematic that all we could do was blunt the impact somewhat in our word choice. Additional information about our translating philosophy and guiding principles are all available on our weblog here. Our Bible version is available in both PDF and Microsoft Word format for free download, but can also be purchased at an affordable price as a trade paperback here. 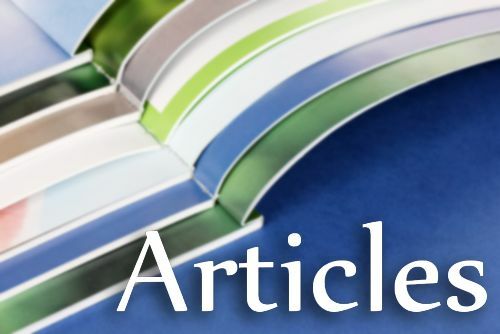 The work is made available under a Creative Commons copyright, so it is accessible for adaptation and use as the basis of other translations as well. It is our earnest hope and prayer that our efforts may bring blessing and healing to countless Christians struggling for equality and justice for generations to come. If you find this Bible version to be worthwhile, please consider using it in your devotions and liturgies and spread the word far and wide. Time will tell how effective our editorial strategies are. Some may be found wanting, while others (we hope) may provide new inspiration and insight. But if we can at least raise awareness and draw attention to critical issues in our experience of the Bible, we can rest satisfied that our work has not been in vain. Your New Testament is beautiful. Will there be a Divine Feminine Hebrew bible? I know that I’m not the only person who would love to read it. Thanks so much for the encouraging feedback! And also for the great question. Unfortunately, however, I’m not currently aware of efforts to develop a Divine Feminine Hebrew Bible. It took our small team five years just to complete the New Testament alone. It’s my sincere hope, however, that at some point someone will develop a Divine Feminine Version of the Tanach.